Methamphetamine, also known as 'P', 'ice', ‘speed’, or 'crystal', is a highly addictive, potent chemical that first acts as a stimulant but then begins to shut down the central nervous system and systematically destroy the body. Thus it is associated with serious health conditions and psychotic behaviour. Methamphetamine (P) residue is a dangerous substance that can linger in your home long after it has been manufactured or smoked, with dangerous side effects after long-term exposure. At NZ House Surveys you can have a Methamphetamine test conducted on its own or as part of a Building Survey package. When combined with a pre-purchase building report the price of Meth testing is discounted. The house inspectors at NZ House Surveys are fully trained for Meth testing in homes, so contact the team today! What is involved in Methamphetamine Screening Assessment? Our fully trained Meth testing inspectors will individually swab up to ten high-use areas within the home. The swabs are then sent off to a IANZ accredited laboratory for analysis. Our inspectors then provide you with a report on the findings. At NZ house Surveys you can choose between Composite and Discrete testing. Our most popular and cost effective type of testing. A composite test involves each area being swabbed with an individual sample. 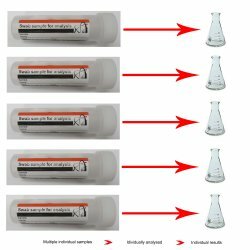 The samples are then sent to an IANZ accreted laboratory where equal portions of each swab are combined together to be analysed and provide a composite result which represents the average concentration. A discrete test involves individual swabs taken and analysed individually to give you a result for each specific area. The advantage of individual testing is that it allows you to identify exactly which rooms are over the acceptable threshold for contamination. Long term - Cancer, nervous disorders and tremors, damage to kidneys and liver, birth defects, reproductive problems and in extreme cases, death. If you are unsure about the Methamphetamine levels in your next home, ensure you have a home Meth test carried out to ensure your potential home is safe. We Meth test homes in Palmerston North, Wellington, Upper and Lower Hutt, Taranaki, Hawkes Bay, Canterbury, and throughout Central Otago and Queenstown-Lakes Districts. NZ House Surveys operates throughout New Zealand, so contact the team today! Our testers have been fully trained to identify the best areas to test within homes and to look for other indications of Methamphetamine use or manufacture. 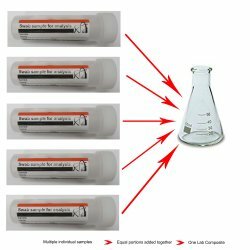 All of our tests are analysed by an IANZ accredited laboratory - Lab testing is the most reliable way to test for the presence of Methamphetamine and tests can identify contamination to a minimum of 0.02 µg/100cm2. What is the timeframe on the results? Generally the Lab has a 2 - 3 day turnaround time for the results, however we can arrange 'urgent priority' when requested. What is the acceptable level of contamination if it is detected? Under the NZS 8510:2017 remedial action is required if the contamination is greater than 1.5 µg/100cm2 in a high-use area or 3.8 µg/100cm2 in a limited-use area. What are the guidelines for testing for Methamphetamine contamination in New Zealand? The requirement to collect background information to identify the number and location of exhaust fans on the property, recent renovations that may have occurred, copies of any reports on previous inspections, on-site waste water systems, etc.